Place: Versace, Sloane Street, London. “Medusas’ punishment for being raped by Poseidon was to have her hair turned in to a head of writhing snakes. So petrifying she turned men to stone with a single look. Pregnant by Poseidon, she lived as an outcast of society until Persues came and removed her head. 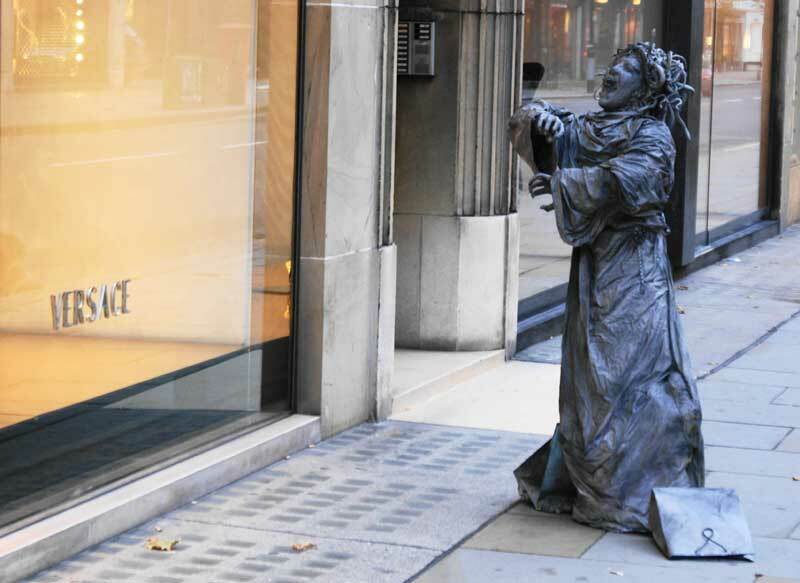 The installation of Medusa outside the Versace store was to discuss the ownership of Medusa by the fashion house. 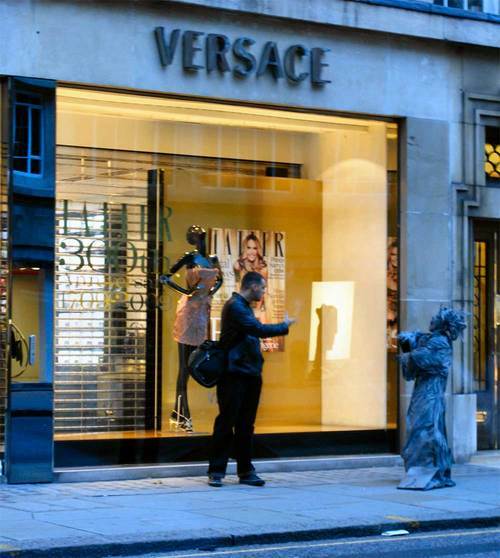 A relationship between the single Versace mannequin within the store shopfront and Medusa also reflected the acceptance of what is beautiful and the outcasting of what is deemed ugly, by those that consider themselves an authority.